Take a break from the city and head to Playa de Cofete and Playa de la Concha El Cotillo. You'll enjoy a bit of beach vacationing at Sotavento Beach and Monumento Natural de Ajuy. 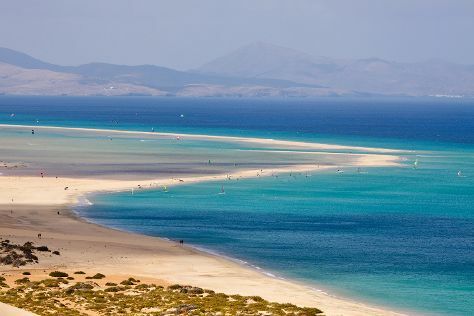 Get out of town with these interesting Caleta de Fuste side-trips: Faro de Jandia (in Morro del Jable), Playa de Sotavento (in Playa de Jandia) and Faro de la Entallada (in Las Playitas). There's lots more to do: look for gifts at Trecepeces Fuerteventura, pause for some photo ops at Morro Velosa Statues, enjoy the sand and surf at Playa del Matorral, and examine the collection at Museo de la Sal. To find photos and tourist information, you can read our Caleta de Fuste itinerary maker. Use the Route module to find suitable travel options from Galway, Ireland to Caleta de Fuste. Expect warmer temperatures when traveling from Galway in October; daily highs in Caleta de Fuste reach 30°C and lows reach 24°C. Finish your sightseeing early on the 16th (Sun) so you can drive to Corralejo. Shop till you drop at komodo and Azucena, Natural Jewels Fuerteventura. Get some historical perspective at Castillo de las Coloradas and Lajares. 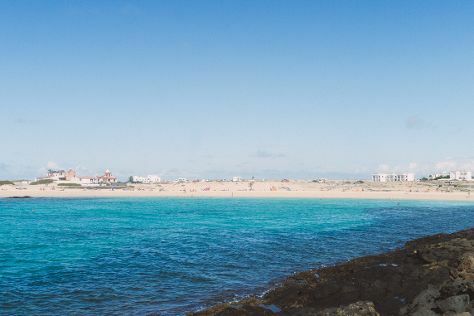 There's much more to do: stroll through El Cotillo Beach & Lagoons, hit the tides with a taste of the best surfing spots, examine the collection at Aloe Vera museum, and discover the deep blue sea with a scuba or snorkeling tour. For ratings, reviews, photos, and more tourist information, you can read our Corralejo sightseeing planner. Drive from Caleta de Fuste to Corralejo in an hour. Expect a daytime high around 30°C in October, and nighttime lows around 24°C. Finish your sightseeing early on the 19th (Wed) to allow enough time to travel back home.